Our family has been cultivating the lands around our home for generations. 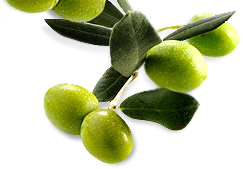 From the olive trees that our great, great grandparents planted to the wild teas, herbs and spices that grow at our feet, we respect and appreciate everything that nature has offered us. We have continued an age-old tradition of living off of the land. The perfect balance of sun, water and fresh mountain air creates the highest quality products that we want to share with you.